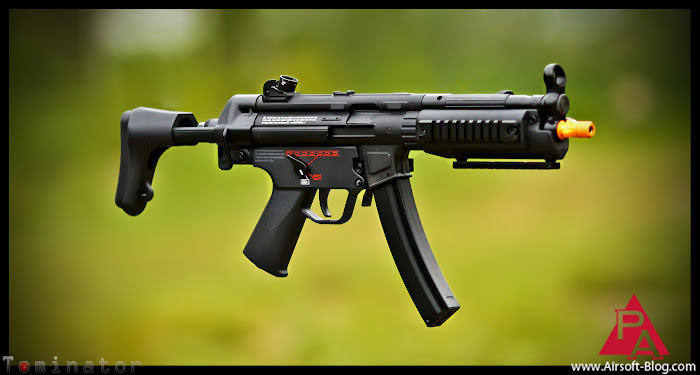 To begin this week, I thought that in preparation for my upcoming review of the H&K MP5 A5 Electric Blowback Rifle, which is manufactured by Top Tech/G&G, I would do a blog about MP5s in general to provide some basic info on them. The real steel version are manufactured by Heckler & Koch (H&K) and the Airsoft version, in this case, like I just said, is made by G&G's high-end product line, called Top Tech. While I'll be reviewing one of the lesser known variants of the MP5, there are actually quite a few out there, but for the purposes of Airsoft, there's maybe like five or six variations on the MP5 them. Not all of them made, by Top Tech, of course. Before I get into the variations, you might be curious to know that the "MP" in "MP5" does NOT, in fact, stand for "Mighty Phine," but rather, "Machine pistol" because it (the real steel version) falls under the submachine gun class thanks to the caliber in which it is chambered (9x19mm pistol rounds). General rule of thumb, though there may be exceptions, is that if it looks like a rifle, but fires handgun caliber ammunition, it's pretty safe to assume that it's a submachine gun. Anyway, that info is sort of just for fun for our purposes, because for the most part, Airsoft guns fire 6mm ammunition. Another fun factoid for you, playing COD results in a sort of magical event wherein you essentially become an MP5 expert automatically. It's weird, but true. So there you go. Nothing too exciting for you today, but just a little bit of knowledge for you to wet your appetite for my upcoming review, which will likely be up tomorrow. In the meantime, let me know in the comments what your favorite MP5 variation is and, of course, WHY it's your favorite. 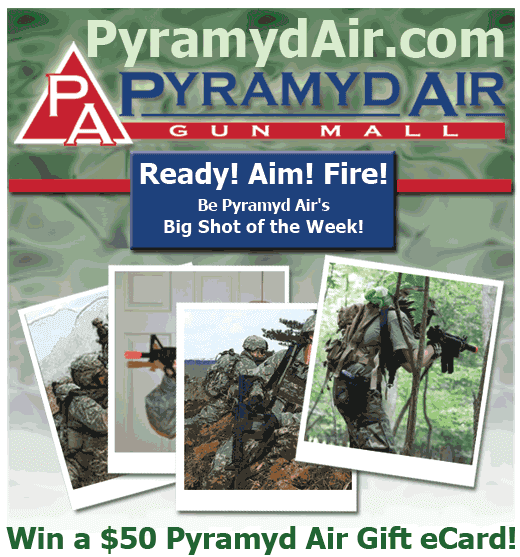 AIRSOFT JOB OPPORTUNITY ALERT:Pyramyd Air is looking for enthusiastic individuals who have a good knowledge of Airsoft products to help them assist their customers while shopping at Pyramyd Air. You'll get paid to talk about Airsoft stuff AND you can do it from the comforts of your own home! Click the following link to register with Needle and get all the details.